Newer, faster, thinner … better? One technology follows another in dizzying cycles. But how is it that something that was once an amazing engineering marvel ceases to be so? If it really works as a musical instrument, how could it be less of a musical instrument than it was before? Palm Sounds’ Ashley Elsdon was talking about music making in the palm of your hand before anyone had ever seen an iPhone. So I had to smile when I saw him connecting an old Palm to our MeeBlip synth. It wasn’t just a novelty – the synth was ticking along with this vintage technology in a way that looked generally cool, drool-worthy – somehow, new. The world of mobile music making has grown beyond all expectations over the last few years, and it’s only fair to say that iOS is now king in that world. So, why make music on old PDAs? They’re slower. There’s virtually no new development. Yet there are still some areas where an aged PDA can make a shiny new iDevice look dumb. For a start, you can access to the file system, and expanded storage, too. Ed. : Okay, I have to whince a little bit at the fact that this isn’t true on newer gear, but – yes. True. If that wasn’t enough, there’s some amazing software for older devices that is completely free. So, I’m going to make the assumption that you’re interested in getting to know a little more detail about these devices and what they can do. I’m going to cover two operating systems and the hardware that they run on. There will be more focus on the Palm OS over Windows Mobile, but both have unique software available that in some cases goes beyond what is possible on iOS at the moment. Palm in its various guises over the years were probably the best-known manufacturer of PDAs in the 1990s. They made the hardware, they made the OS, they made peripherals. Sound like a familiar model? Palm’s early hardware used serial connections to connect to the desktop, which made them excellent for MIDI applications, and many developers made great use of this facility. However, from version 5 of their OS and a simultaneous move to ARM-based hardware, the serial connection was lost and MIDI along with it. Ed. : Doubly absurd: there’s no reason you can’t do serial and MIDI from an ARM chip. But I digress. The upside of this move was more processing power, and along with that some of the best-loved and most innovative software to hit a handheld in decades. More of that a bit later. As Palm was the main manufacturer of their own hardware, the majority of models that are still available and useful for music. I’ll mention the best models for music making at the end. In some ways, Windows Mobile were ahead of the game here. To be clear, I’m talking about the OS up to version 6.5 and before it morphed into Windows Phone (which made a lot of developers very angry, and none of the music developers ported their code to the new OS). Windows Mobile has had some amazing music software developed for it, some of which is still available today, but sadly, not all. There were a huge number of different Windows Mobile devices on the market, and you can still find lots of these on auction sites today. In terms of which devices are / were best for music, that’s debatable. However, processor speed and memory are the two major factors as always in considering a device. 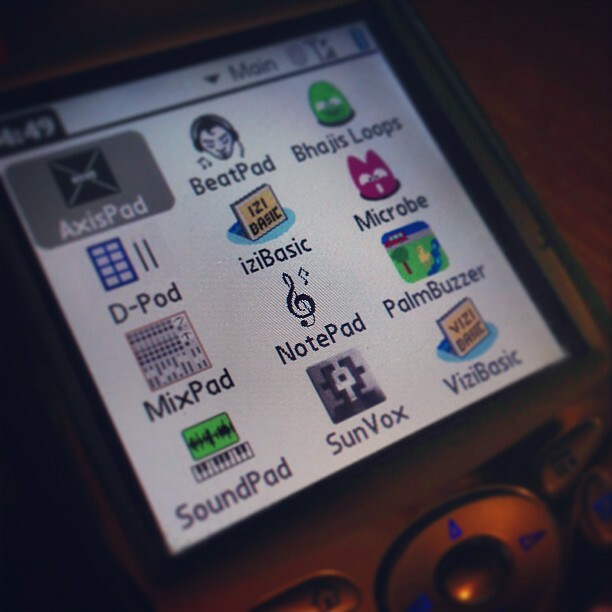 As with lots of platforms, Palm OS music making started off with the simplest of apps. I don’t intend to cover those, as many have vanished now. However, a few applications that started off in those early days were developed further and are still available now. BeatPad: A drum machine and simple pattern sequencer. It handles 4 banks of 8 patterns and allows you control pitch, velocity and note length on every note in the sequencer. It has MIDI out and also can use sounds created in SoundPad. NotePad: A fully-fledged Notation application for Palm. This is a truly amazing app. MIDI-capable, and can access GM sounds on a device with a GM chip or use the SoundPad FM sound banks. SoundPad: This is the app that makes the sound files that everything else can use. 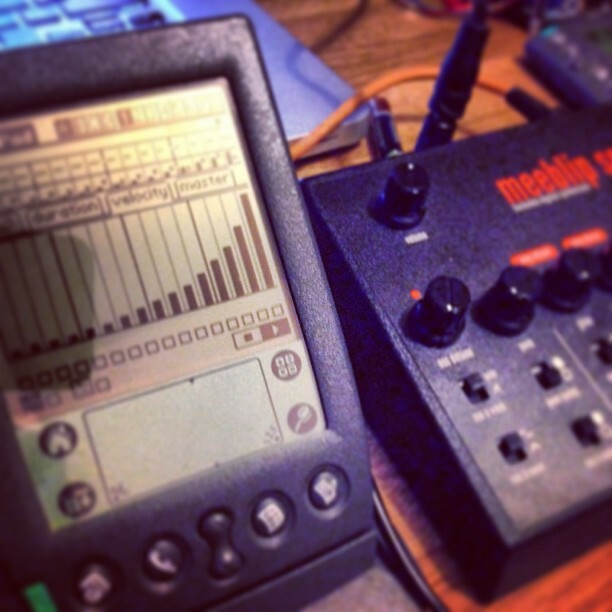 SoundPad uses 4 oscillators for FM synthesis. AxisPad: An XY pad instrument. As before it uses SoundPad for its sources and can house multiple ‘slates’ for various performance types. MixPad: Is a MIDI file player. The ‘pro’ version was to have a lot more editing and even recording capabilities, but it is very unlikely that this will come about now. 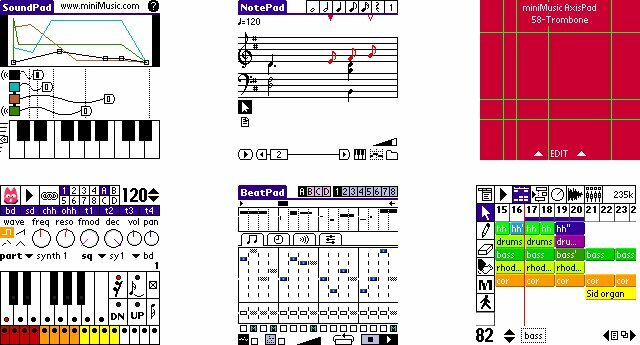 If that wasn’t enough, miniMusic also had musical learning applications (BugBand and EarTrain), and early demos of apps that sadly didn’t get developed further, SpinPad and WavePad. … and then came Chocopoolp! Ok, it’s a strange name. Chocopoolp made two apps for the Palm OS. Bhajis Loops is by far the best known, but before I talk about that, I need to mention its predecessor, Microbe. Whilst Microbe is essentially a sequencer with two synth parts and a drum machine, it was a huge step forward in mobile music making on the Palm OS. Microbe’s synths offered amazing sound control on a tiny device and export to a .wav file onto your SD card. As Microbe developed it added a song editor, the ability to export a whole song into Bhajis Loops and more. And then there was Bhajis Loops. Bhajis Loops did for music making on the Palm OS what NanoStudio and BeatMaker 1 and 2 did for iOS music making. Bhajis Loops did everything short of audio tracks on a Palm PDA. It allowed up to 64 instruments (depending on how powerful your device is), four FX buses, plus accommodating a plug-in architecture (with a great range of plug-ins still available), a master bus, and full automation of instrument and effect parameters. All this before the iPhone even arrived. As if that weren’t enough, Bhajis can also export to MIDI or .WAV file,s and best of all, it’s available for free now. I’ve really only touched the surface of what Bhajis can do, and if you’re even remotely interested you should find out more by visiting www.chocopoolp.com. There’s just one more thing I should mention. Back in the days before Bhajis, one truly interesting development in the Palm world caught my attention. It was called Capers. The idea was to replace the Palm OS with a new operating system for music only. What a great idea, I thought. The people behind Capers started to releases apps, or as they called them, applets for Capers which were largely MIDI-related, but were quite impressive in their own right. Sadly, the replacement OS never came about, and in fact, there’s precious little trace of Capers left on the Internet now, but I still think it was a great idea. In fact, I’ve often pestered the developers of Capers to release the code so that someone could take it further. However, to date whilst it’s been promised, it’s never come about. Maybe one day. 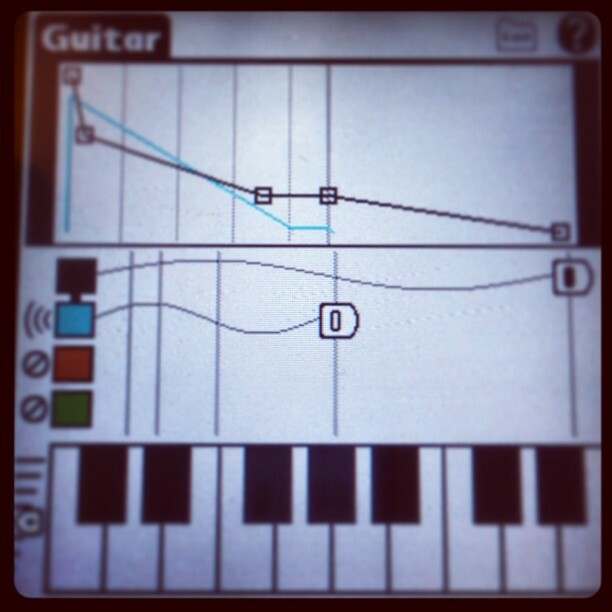 Griff: Arguably the best Windows Mobile music making software available ever. In fact in some ways it rivalled Bhajis Loops. Griff sported an amazing plug-in architecture which supported plug-in instruments and effects too. And the plug-ins available crossed a wide range, from a drawbar organ to network MIDI (although this was somewhat experimental in its implementation). Griff allowed a huge amount of automation of every parameter you could think of, and exported to .WAV, as you’d expect. At its peak, you could expect to pay well over £100 for the software and all the plug-ins, but now the app itself and a selection of plug-ins are available for free. Sadly, some of the 3rd party plug-ins are no longer available anywhere. Mixtikl (miniMIXA++): A generative music app that has its roots in Koan Pro. Mixtikl is now on iOS and Android, but started as miniMIXA++ on Windows Mobile and has grown and grown ever since. MeTeoR: Stands for Multi-Track Recorder. This app was then ported over to iOS and has continued to be developed there. However, it was the first multi-track available for Windows Mobile, and probably the only one as well. Sunvox: Another app that’s now available for iOS, and Android, but still has a Windows Mobile and a Palm OS version too. 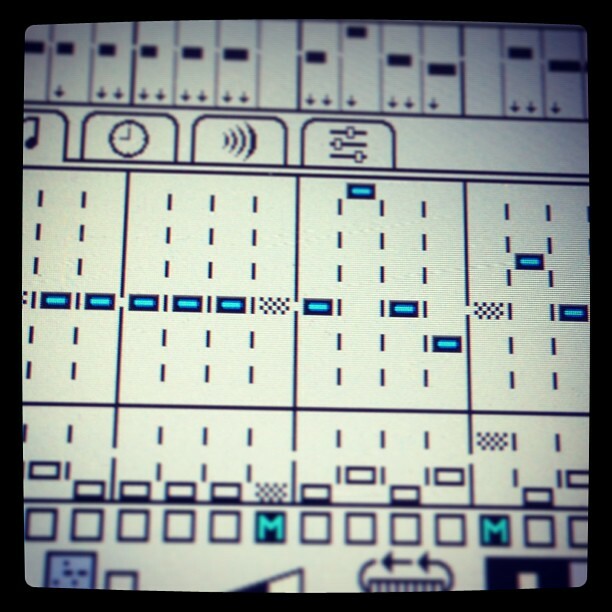 Sunvox is an incredible mobile app by any standards and is truly cross platform. So, I think it’s only fair to say that there were some amazing applications for these older devices, and many are still available either very cheaply, or for free. That’s great if you want to run these apps on older device, but what if you don’t, or can’t? Well there are a few ways. If you’re running iOS and are happy to jailbreak your device, you can run the Palm OS apps on iOS. StyleTap produce a Palm OS emulator that runs for iOS (and also for Android) allowing you to install Palm apps to your iDevice. The same solution works for Android, although you don’t need to jailbreak. Sadly, to the best of my knowledge there’s no way of emulating Windows Mobile on another mobile platform, so if you want to sample the delights of Griff you’ll need to have something to run it on. As for new development for Palm OS or Windows Mobile, well, that’s a short conversation. There really isn’t any. So, there’s a relatively brief tour of what you can do with older devices and software and also how you can still use some of these on iOS and Android. There are still a lot of resources available for these devices, but it’s only fair to say that they’re dwindling away day by day. Hopefully it might inspire you to try out some Bhajis or Griff music making.